This is a "preview" article. It is intended for someone who may consider buying the previewed item, but would like to know a little about the item before making a purchase. In Korea, there are tales of gumiho (구미호), the nine-tailed foxes. These creatures live for 1,000 years, and are able to transform into any shape. They can even take on the shape of a human, but can only truly become a human if they take the soul of a human as their own. One hundred years ago, an alien craft landed on Earth. Stranded on a mountain, the aliens met a five-tailed fox, one of the last of the her kind. Fast-forward to present day, and the aliens are ready to return home. When things go wrong, harsh words are said, and one of the troupe leaves, only to be found by humans at a small nearby school. 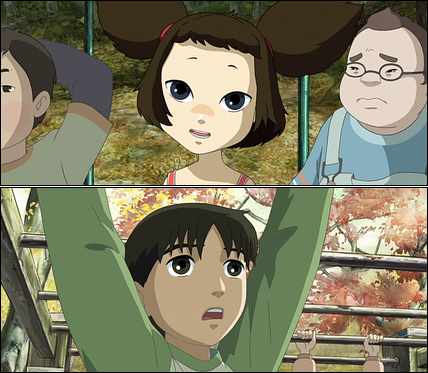 To save the alien, the five-tailed fox takes on her human form and joins the school’s only class, a class made up of problem and misfit children. Going by the name Yobi (야오비), the fox girl befriends Geum Iy (금이야), a boy with dreams in life, but a temper as well. Staying with the class, Yobi must cope with her own negative views of humans, and a potential desire to become one herself. A shadow detective reminds Yobi how she can become human by taking the soul of a human. For this very reason, a hunter is after her, to ensure she cannot steal a human soul. The reason I looked into Yobi, the Five Tailed Fox is because I wanted to see what Korea had to offer. Enjoying Janggeum’s Dream, I knew there had to be more out there. I decided to pick up Yobi and My Beautiful Girl, Mari, both by director I Seong Gang (이성강). I originally planned to put up my impressions on My Beautiful Girl, Mari, but after I wrote them out, there just wasn’t anything I was sure was worth posting. Maybe that in itself says enough about the film to warrant posting it, but the gist of it is that I wasn’t impressed by the film, and it left me apprehensive about viewing Yobi, the Five Tailed Fox. Thankfully, I did get around to watching this film (I did buy it already, after all), and it turned out to be a suprising delight, if not a little open-ended. 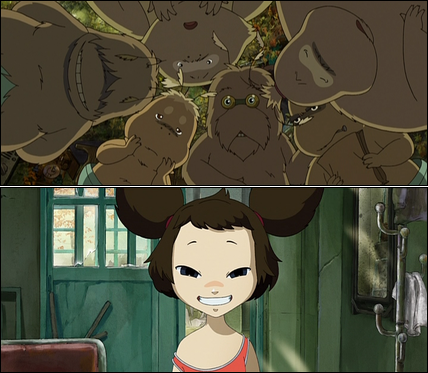 The animation combines both 2D artwork (probably computer animated; I haven’t checked the supplement DVD at the time of this writing to see if it shows the making of the film) and 3D computer generated scenes (background, objects). I’m not a fan of using 3D in a 2D series (with the exception of Zoids, to an extent). Actually, unless it’s closer to the quality of Toy Story, Finding Nemo, or Final Fantasy VII: Advent Children, the combination of 3D and 2D will not only look out of place together, but the 3D animation tends to be lower quality than the animation. I felt the same with My Beautiful Girl, Mari and Voices of a Distant Star. 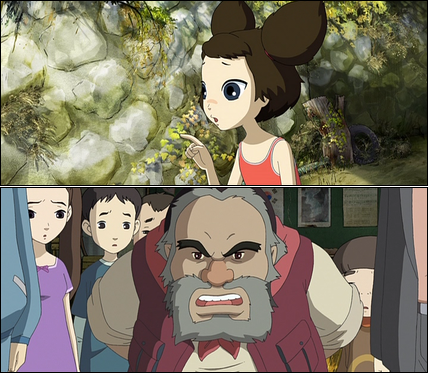 A film which runs too long can be its downfall (as is the case with many of the Japanese Studio Ghibli’s films). Because of this, it’s with uncertainty that I wish the normal-length Yobi were a longer movie. In just under an hour and a half, the movie’s running time, I was able to get to know the characters, but at the same time felt I didn’t know very much about them at all. That said, what is there is enough for the film’s purpose. The characters are developed, and don’t come off as having flat personalities. The character designs are good. They lack the over-exaggeration of many Japanese animations, which gives them a suprisingly refreshing feel. The design for Yobi doesn’t try to be a cute or pretty design. She’s simply a fox who’s become a girl. When watching Yobi, one has to keep in mind that this is a film about Yobi. There are other plots going on, but the only plot which matters is Yobi‘s. As such, once her plot has resolved, the movie ends, and any other plots which have not completed yet will not complete (within the span of the movie). This may leave a feeling of parts of the story being unfulfilled, due to not knowing what happens for various characters. Some things are left to the viewer’s imagination. Even though I object to the aliens’ source of power for their spaceship, I’ll go ahead and say there is no objectionable content in this film. I was a bit hesitant when the movie began and mentioned aliens. As it turns out, they’re relatively cute, furry little creatures (although they use questionable means to fly their spaceship). Overall, the movie is a fun diversion. There’s nothing epic about it, nothing extraordinary. I’m not even sure if the story of Yobi and her time with a class of humans can even be considered memorable by any stretch of the word. The movie should be animated enough to put on before kids, especially with Yobi’s fox transformations and the aliens, but the story is strong enough and the characters captivating enough to hold the attention of adults. If you are able to rent this film, that would be the way to go. Otherwise, if the film sounds interesting by what I’ve written, I recommend buying it. There won’t be a lot of action (maybe just a little), and there won’t be any great displays of emotion. There’s no suspense or drama, simply a story about a fox girl fitting in with humans. It’s not slice-of-life, but it is what it is. I recommend it.